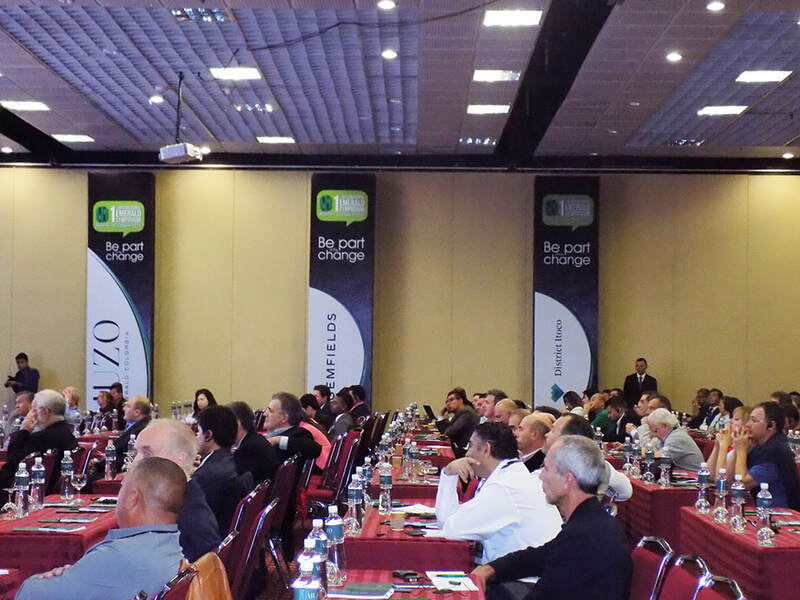 Audience members during the First World Emerald Symposium in 2015. A miner holds emeralds in matrix recovered from the Cunas Mine in Colombia. Photo taken on one of the mine tours with the First World Emerald Symposium in 2015. The Colombian Ministry of Mines and Energy, in association with the Colombian Geological Service and the National University, has budgeted US$30 million for a five-year “Mineral Digital Fingerprint” project that started in 2018. This project is based on a technique developed in Australia and applied in South Africa as a control mechanism for commercialization of gold and precious stones. The goal of the Fingerprint (La Huella) project is to provide an understanding of the particular conditions and physical-chemical characteristics that were present at the time of the geological formation of a mineral, which then gives a specific geo-chemical DNA. This Fingerprint can also be traced at the different stages of exploitation, refinement and commercialization of the minerals. 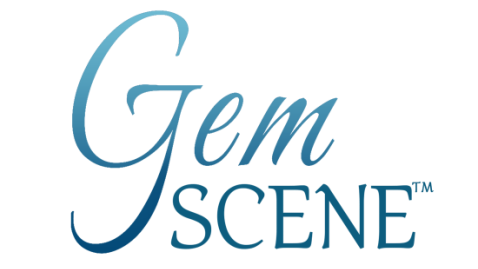 The “Mineral Fingerprints” will be identified in the deposits where the minerals are formed as well as the transformation processes such as smelting, refining, cutting, and polishing. In the case of transformed minerals, this technique can be used to determine whether they came from a deposit or if they were recycled. The infrastructure of the project will include accreditation by a certified laboratory, the construction of a data bank of Mineral Fingerprints, and the generation of a certificate validating the origin of the minerals. 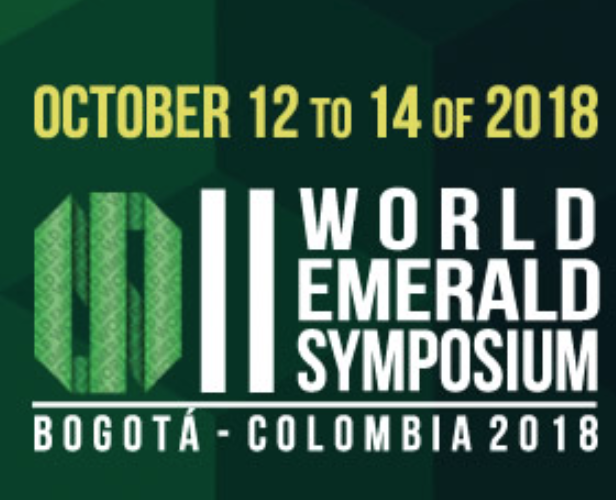 The Second World Emerald Symposium will present a wide range of topics, from geology to mining, from responsible sourcing to ethical standards along the supply chain, from new technologies applicable to the supply chain to artisanal small-scale mining and formalization, from gemology to gem origins, from harmonization of descriptions to proof of origin, and from marketing/branding to jewelry design. The final list of speakers and the symposium's agenda and schedule will be announced soon. Also confirmed for panel discussions are representatives from the world’s primary laboratories and major mining companies, as well as from the eight emerald-producing countries: Colombia, Pakistan, Afghanistan, Russia, Zambia, Brazil and Madagascar. The Second World Emerald Symposium is a unique opportunity to meet in one place, during three days, the world emerald community, from emerald mining companies to laboratories, from educational institutions to global luxury brands. 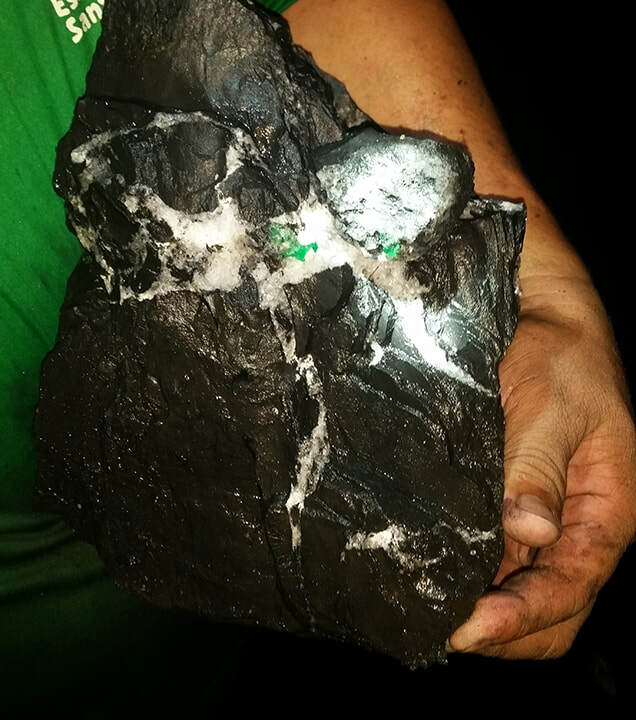 Side trips are also arranged for those interested in visiting the major emerald mines in Colombia (Muzo, Cunas, and Coscuez) with an additional trip to Chivor.